"To: Boys and Girls of San Diego Public Library." 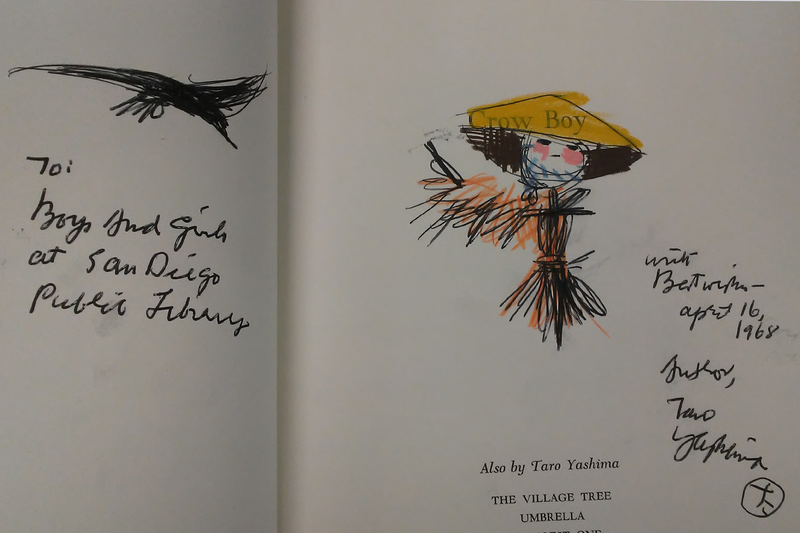 On the recto or front side of the page and in the tradition of form (character)-based writing, Yashima draws and hand colors Crow Boy over the words "Crow Boy." Here the inscription continues, "with Best wishes- April 16th, 1968. 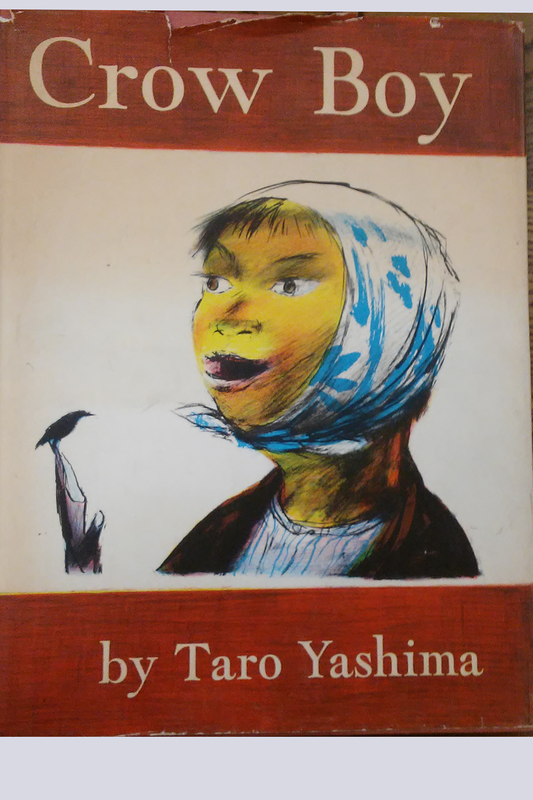 Author, Taro Yashima." He then draws an image of his own seal or the image he uses as a signature. Please note how the vibrance of the yellow, orange, pink, and blue contrasts with the black ink in this image to create a glowing quality. Such color vibrance in a 1968 drawing suggests this book has been well conserved with very little exposure to light. Stay tuned for more on this artist and on other examples of illustrators' drawing-enhanced signatures. Happy reading.